Does this cake taste like Coke? Not really, but the delicious carbonated beverage makes for a wonderfully moist and delicious cake. Of course, the buttermilk helps with that as well. The cake is not too sweet, but when paired with the awesome chocolate frosting, it's a beautiful combination that you will definitely be thankful for. Grease and flour a 9x13 cake pan. Set aside. In a medium sized saucepan, mix the Coca Cola, oil, butter and cocoa powder and bring to a boil. In a mixing bowl, combine the sugar, flour, and salt. Pour the boiling Coca Cola mixture over the flour mixture and beat well. Add the eggs, buttermilk, baking soda and vanilla; beat well until combined. Pour the mixture into the prepared cake pan and bake for 25-30 minutes. Remove from the oven and cool for about 10 minutes before frosting. In a medium sized saucepan, combine the butter, cocoa powder and heavy cream. Heat until the butter melts. Beat in the remaining ingredients and spread on the cake while it's warm. Be quick because the frosting starts to set up pretty fast. Let the cake and frosting cool completely before cutting. Girl I love me some coca cola cake! It is one of my absolute favorites. This looks delish! This cake is fantastic! 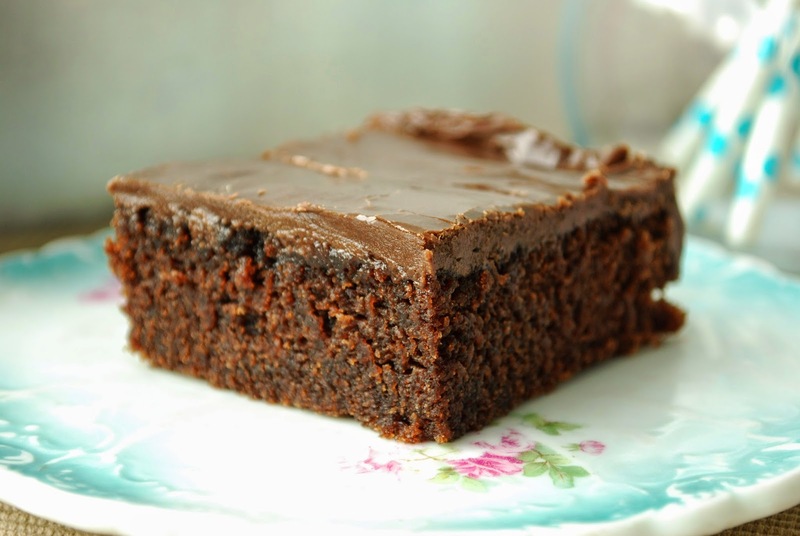 So moist and fudgy! YUMMY!!! I've heard of coco cola cakes before but never tried! This looks so delicious, I can't believe it works - pretty cool! Oh how I love a Coca-Cola cake! Looks wonderful and rich! I would totally go back for thirds!!!! This looks amazing! I love coca-cola cakes and wish I had a big slice right now! I have a similar recipe given to me by a friend. We love it!